What can be more elemental to health than the air you breathe? However, the element that is really needed is oxygen, as it vital to every cell in your body. While breathing air gives you enough oxygen to live, when you receive oxygen at concentrated levels, it can have rejuvenating effects that can boost healing, health and slow the aging process. Each of these therapies offers benefits for health and appearance, especially when combined with some of our other treatments. 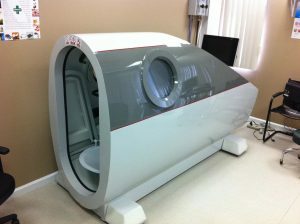 Wellness and beauty begins at the cellular level, which is exactly where oxygen therapy offers the most advantages. Air and oxygen are basic needs but can create dramatic results when used therapeutically. To learn more about our oxygen therapies and our other anti-aging treatments, contact our AuraSpa Healing Center in Beverly Hills to schedule your personalized consultation.